Loudoun Water and NOVA Parks will be having their first stakeholder input session on October 27. Planned time is 6:30-8:30PM. 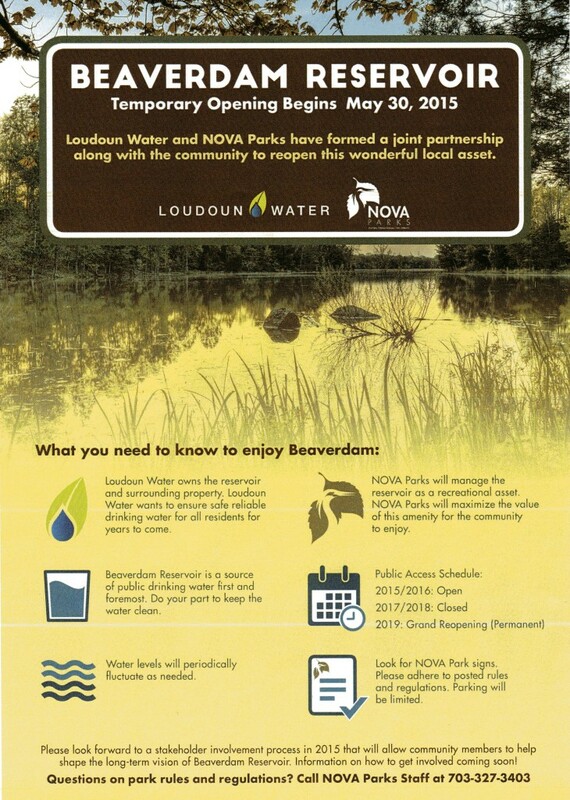 This will be your chance to talk to the Loudoun Water Staff and the NOVA Parks team. They will be soliciting input for the future of the reservoir. Please make time to come, even if only for a brief time, your voice is very important in shaping the future of the reservoir. More details to come. 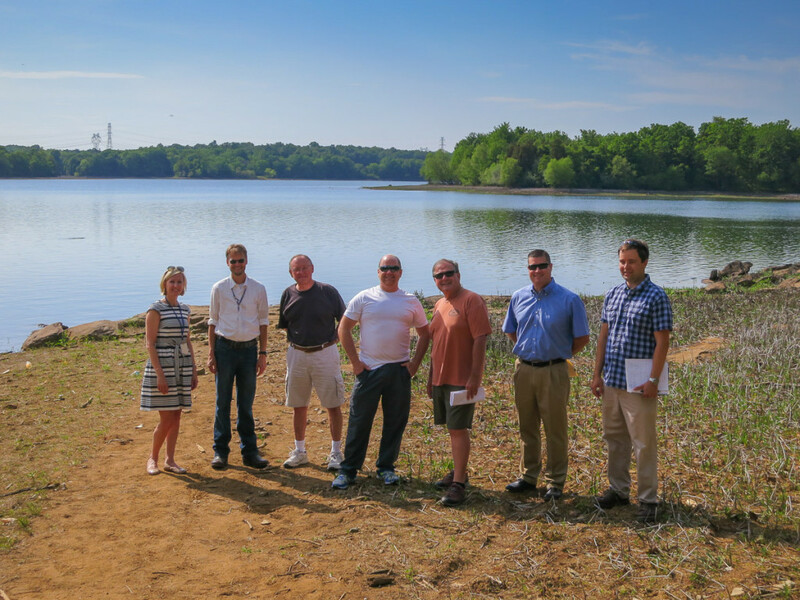 Yesterday several key stakeholders were invited to meet with Loudoun Water and NOVA Parks to discuss the temporary opening of Beaverdam Creek Reservoir. We met at the Mt. Hope road location, which will serve as the only public access location for now. The reservoir is quickly filling back up, though it is not up to its normal level yet. Some good news was shared with us. First, the reservoir will be opening a few days early, Saturday the 30th of May. Second, the rowers have been relocated to their own location on Alford Rd, as has all their equipment. The parking situation at Mt. Hope is greatly improved. The rowing team however did take their dock. The reservoir looks great, several times we heard fish jumping out of the water and DGIF has said the the fish population looks good. With the opening, Loudoun Water has some concerns. First is that we stay away from the dam area, both on the water and on foot. Second is that we do not park on the church side of Mt. Hope Rd. The church has been helpful to us, please respect the parking situation. If the lot is full, you can park down the road at the NOVA parks lot. Last they ask you respect the land and water. If you see someone doing something they should not be doing, please call the Loudoun Sheriff’s dept. Let’s not let a few rotten apples spoil the bunch. Loudoun Water is also paying for the Sheriff’s dept to do additional patrols. Ads will be run is Leesburg/Ashburn Today and the Loudoun Times with opening details. Chris Pauley’s team from the Fairfax location of NOVA Parks (NVRPA) is managing the recreational side of the facility. Staff will be visiting the facility on a regular basis as well as be onsite during weekends. 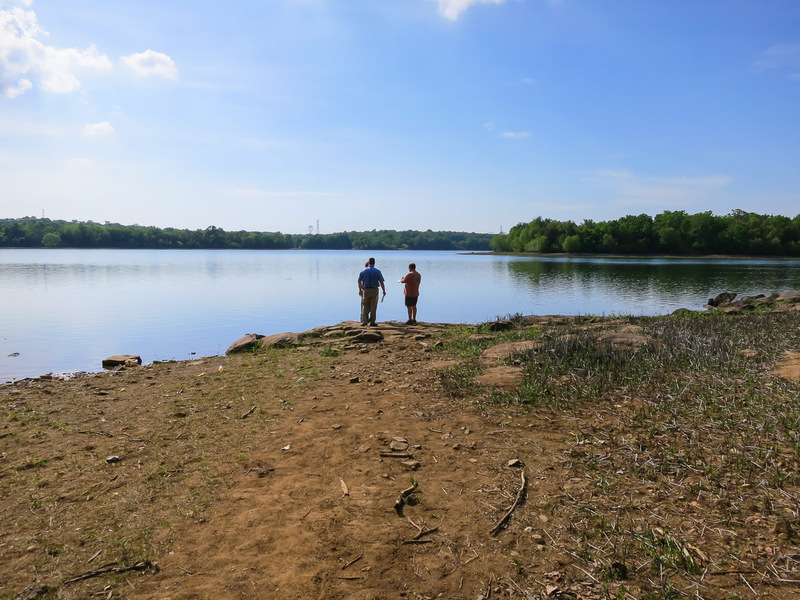 The park will be run just like the various other NVRPA launch points in the area (Algonkian/Occoquan) and as such a $4 launch fee will be assessed or you can purchase a yearly “All Park” pass for $70 at the NVRPA site. The gates will be opened at dawn and closed at dusk. Only car-top boats can be launched at Beaverdam. There is no boat ramp or room for trailer parking. Sunfish or small sailboats are fine as long as they don’t need a trailer. Stand up paddling and sailboards are fine as well. Swimming is not allowed. NOVA Parks worked hard to convince LW that SUPs were not there to swim! The trails are available only for walking/hiking. No MTB at this time. To say we’re excited that NOVA Parks is running the facility is an understatement. They are a great bunch of people that get parks and watersports. See you out on the water! * Stay away from the dam! * Enjoy the park, keep it beautiful. We met with Loudoun Water and NoVA parks at the reservoir today to view the progress and to discuss opening details. The great news is the reservoir is opening a few days early, this Saturday! Please park in designated areas on Mt. Hope Rd. Do not park on the church side. Please stay away from the actual dam and spillway! Rules will be similar to other NVRPA (NoVA Parks) areas that allow car-top carry boats. There is no boat ramp or dock, as such, no trailers allowed. More details to follow. Reservoir Re-opening on track for June 1. Just a quick update, I have heard from our friends at Loudoun Water and NVRPA, all systems are go for opening on June 1. Public access will be at the Mt. Hope site. We are meeting with them next week to get the final details. If you have specific questions, please comment below and I will try to get your questions answered. 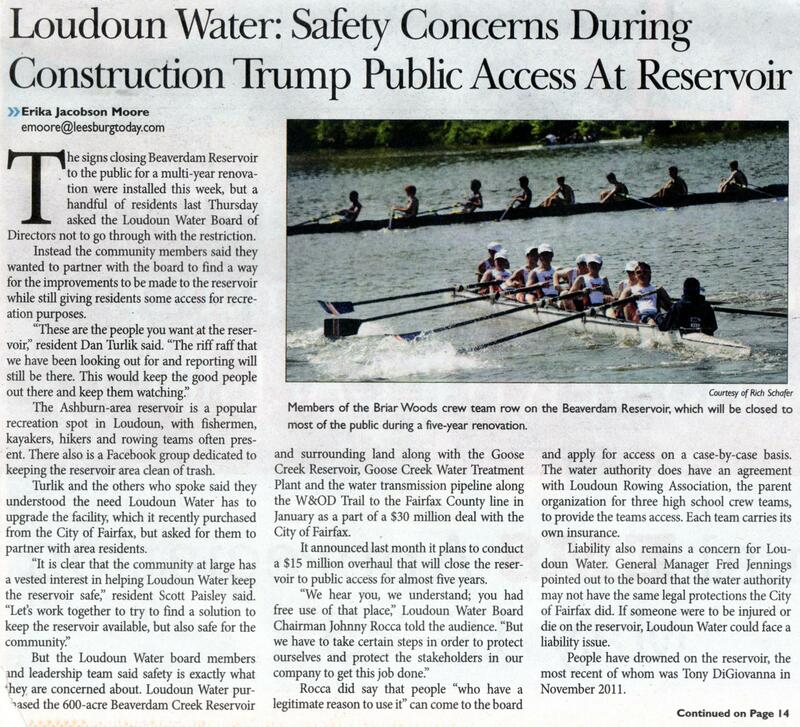 Not exactly new news, Loudoun Water has stated it intended to re-open Beaverdam Creek Reservoir in writing before, but this is their strongest statement yet. 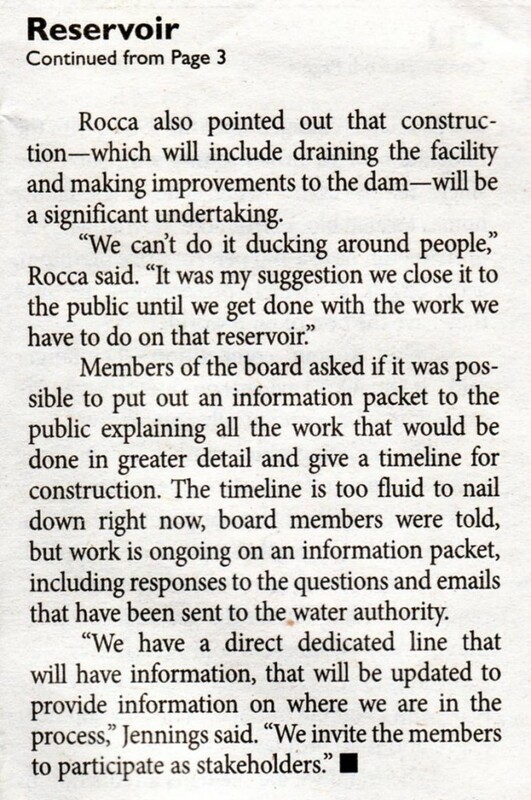 “Ultimately, we want the reservoir to be safely enjoyed by all. 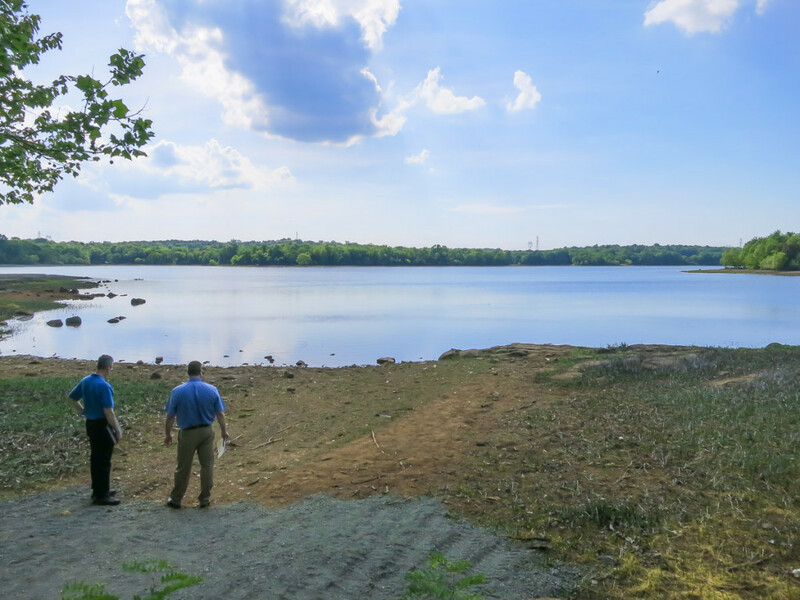 Guided by our overall planning process, we will balance our primary responsibility to protect and maintain the reservoir as a long-term drinking water resource with the community’s desire to enjoy the scenic and tranquil surroundings that Beaverdam provides,” said Jennings. This is good news. All the letter writing, sessions with the Loudoun Water and the Loudoun Board of Supervisors are paying off. A partnership with NVRPA (now renamed NOVA Parks) would be the cherry on top. Just a quick executive summary on the board meeting last night. 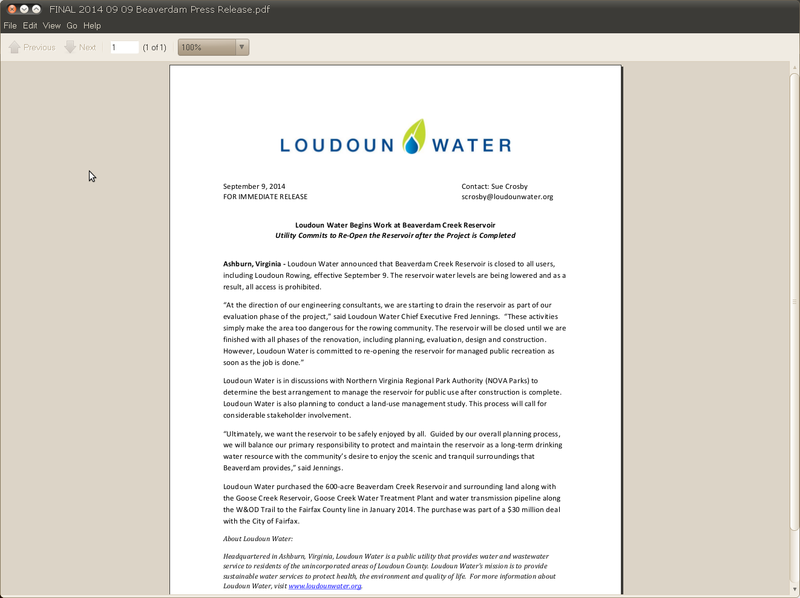 Williams has asked us to give Loudoun Water a chance to respond otherwise he will continue to apply pressure, he is truly our ally here. The best thing we can do right now is to get more signatures to the petition and continue to raise awareness. We are making excellent headway! Please work to get our petition numbers up, click here to add your name to the list! Flashback from the past – Fairfax Sign on Mt. Hope Rd. 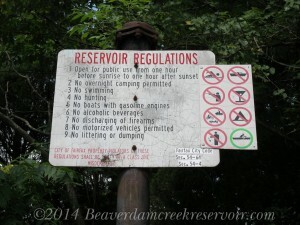 During its fifty year ownership, the City of Fairfax did not manage the Beaverdam or Goose Creek Reservoirs as a recreational asset however they also did not actively restrict public access. 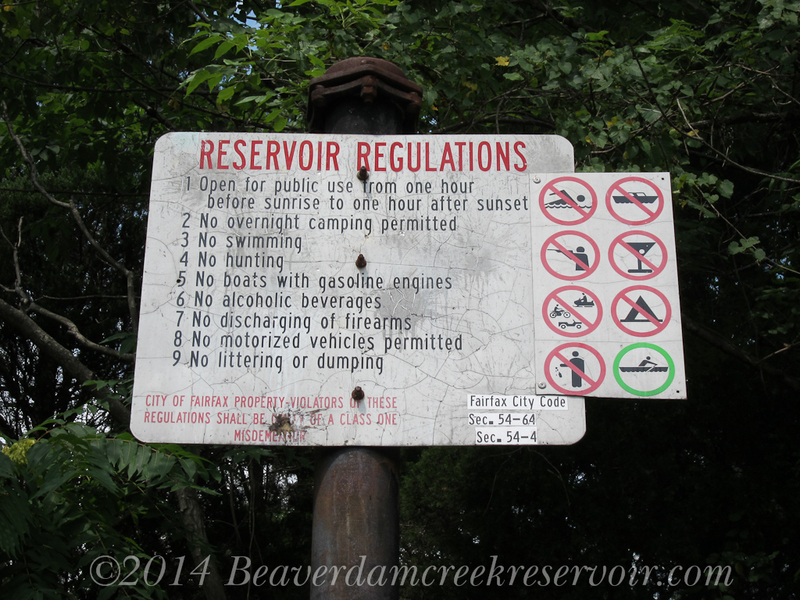 Beaverdam Creek Reservoir is now really closed. Enforcement begins. Sheriff’s deputies are now patrolling the main entrances from 8AM to 10PM. These increased patrols are being payed for by Loudoun Water, which really means Loudoun Water customers.